Any education or certification in Enterprise Architecture needs to be grounded in both frameworks (i.e. Ontologies) and methodologies. 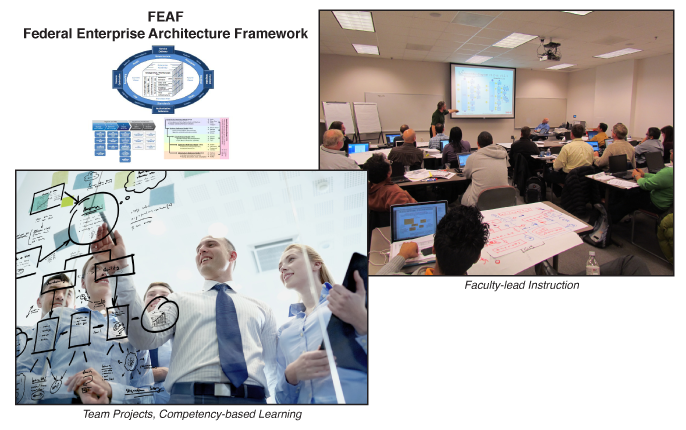 Our education offering for Enterprise Architecture using FEAF gives students broad exposure to the Enterprise Ontology and a range of framework and methodology choices with specialization in the Federal Enterprise Architecture Framework (FEAF). This Enterprise Architecture Framework has proven to have immediate applicability and impact in the private sector as well as the Federal space. FEAF is a very powerful Framework and you don't have to be in Government to derive immediate EA impact from FEAF! 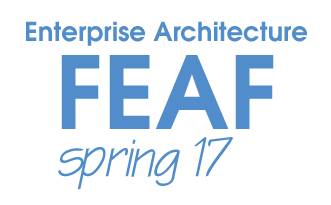 Click here to register for Enterprise Architecture using FEAF Spring 2017 - Space is limited! Self-Study opens April 24; however course registration is available up to one week prior to the 1st Instructor-Lead session. Registration cut-off for Enterprise Architecture using FEAF: Spring is May 2, 2017. Register by January 27th and save 15% on Green Belt and Black Belt Certifications! Session 1 Self-study: April 24-May 8, 2017: online in the FEAC Virtual University (course registration still available during this time). Course materials and assignments are reviewed and performed by the student on-line in the FEAC Virtual University in preparation for Instructor-lead session. Session 1 Instructor-lead Session: May 9-11, 2017: virtually or in-seat at the UVA/VT Northern VA Center in Falls Church (Student choice). Three days (24 contact hours) of instructor-lead, hand's-on, facilitated sessions with exercises and demonstration, building skills and competency in the building of Enterprise Architecture artifacts, models and analysis. Students may attend either the physical, classroom environment or via tele-presence (online). Session 1 Cohort Engagement: May 12-June 5, 2017: online in the FEAC Virtual University. Team-based completion of assignments and practicum, accessing material and assignments online in the FEAC Virtual University. Students should plan to allocate 40-60 hours for assignments and practicum. Session 2 Instructor-lead Session: June 6-9, 2017: virtually or in-seat at the UVA/VT Northern VA Center in Falls Church (Student Choice). Four days (32 contact hours) Student cohorts will present their practicum results and participate with industry speakers. 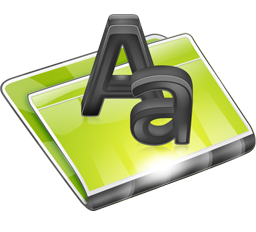 ACEA candidates (Green Belt) present their practicum on Tuesday only of this week and will test online for completion of the certification. Session 2 Cohort Engagement: June 10-July 9, 2017: online in the FEAC Virtual University. CEA Black Belt candidates will continue team-based completion of assignments and practicum, completion of additional assignments and refinement practicum efforts in the FEAC Virtual University. Students should plan to allocate 40-60 hours for assignments and practicum. 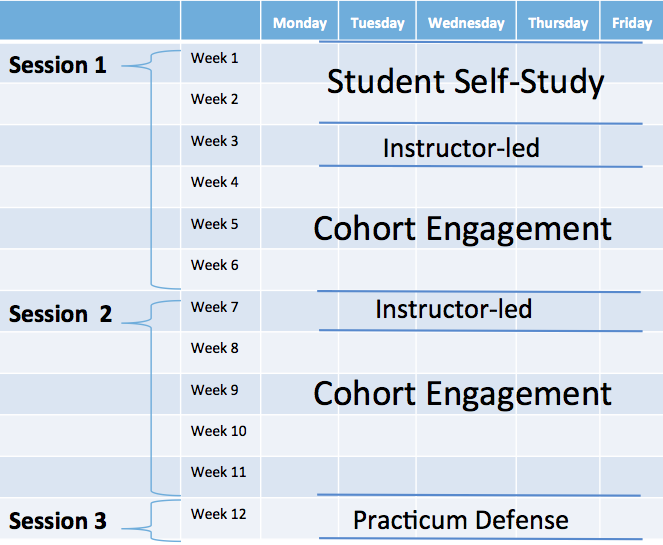 Session 3 CEA Black Belt Practicum Defense and Certification: July 10-11, 2017: virtually or in-seat at the UVA/VT Northern VA Center in Falls Church (Student Choice). Over 2 days; cohorts will defend their practicums and take their final examination for CEA Certifications. Students may attend either the physical, classroom environment or via tele-presence (online). Session 2 (Day 1 only) ACEA Green Belt Practicum Defense and Certification: June 6, 2017 virtually or in-seat at the UVA/VT Northern VA Center in Falls Church (Student Choice). ACEA candidates (Green Belt) present their practicum on Tuesday only of this week and will test online for completion of the certification. You will be given access to the FEAC Virtual University on April 24. There is required self-study and lecture to prepare you for class on April 24. We look forward to seeing you on April 24 at the UVA location (details below) or online, virtually on April 24 as well if you choose this option.